Coordination models: Use a Navisworks file as a lightweight context to work with others on your project. Schedule groups and Revit links: To better understand and quantify your project, create schedules of links and groups in the model. Global Parameters: Embed design intent with project-wide parameters that now work with radial and diameter dimensions and equality constraints. Multi-story stairs: Quickly create and modify multi-story buildings by connecting stairs to the levels in your project. Railings: You now have more control when creating railings. Includes hosting railings on topography, automatic adjustment to stairs, and post placement. MEP Fabrication modeling: Revit lets you model sloped pipe, part by part, and use multipoint routing for fabrication elements. MEP design and analysis: Manipulate the circuit pathways, define your own space types, and include outdoor air requirements. Mechanical simulation: Flow and pressure-drop data is now connected to the pump, and to the computation processes in the background. Rebar for complex geometry: Place rebar in free-form concrete objects. Reinforce imported concrete elements with improved varying rebar distribution. Rebar graphical constraints in 3D: Complete model definitions faster by editing rebar logic in 3D views with in-canvas graphical manipulation. Additional steel connections: More than 100 new connections. Now you can create connections for custom, user-defined families. Collaboration for Revit: Cloud worksharing service now installs with Revit. New sync with central window displays progress of the operation. 50 Comments for "Autodesk Revit 2018 (x64) Multilingual | Free Download"
I can't download part 3. Please updated link. WHAT IS THE PRODUCT KEY ?? is it work with crack ??? What is the xf-adsk2018 file password? Thanks for providing the Revit 2018 edition..
descompactei o rar e ficou 3 arquivos sfx que não querem abrir como devo fazer para instalar? i have downloaded the revit 2018 it is in RAR folder ..when i am trying to extract it is asking password. Thanks to admin for this post. This is really helpful post. 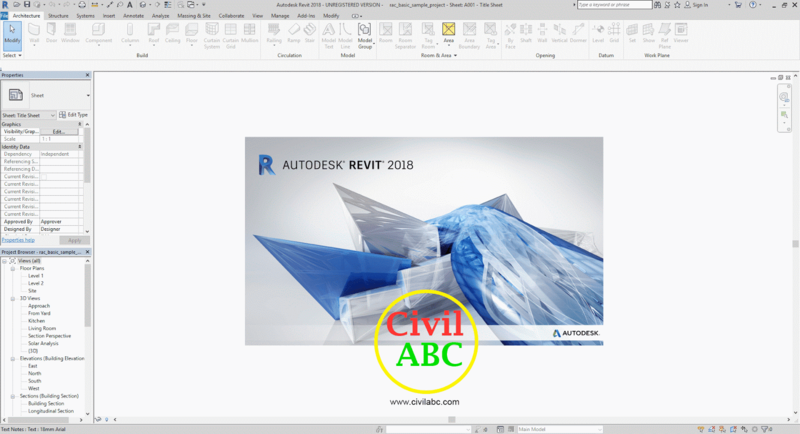 Revit 3d design creator software. I also use in this version. When trying to run the setup file I get the message "The system cannot open the device or file specified". Any ideas as to what might be causing this issue? when i try to download - it says there is a file missing and wont download any of the software. please upload crack again it is not working ! Crack is not available, plz renew it. crack is not available, please renew it.